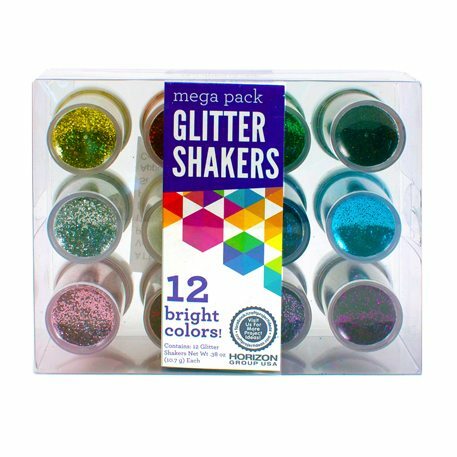 Kids can jazz up any project with mega glitter shakers! Apply glue to a surface and shake on any of the 12 colors in this great value pack! Use the bright glitter colors to accent drawings and craft projects for school activities and crafts in the home! Use our Glitter Tools to help keep your crafting space clean! Available at Walmart.